As depicted in the movie Selma, in May 1965, in Selma, Alabama, Student Nonviolent Coordinating Committee (“SNCC”) President John Lewis and Southern Christian Leadership Conference (“SCLC”) leader Hosea Williams led a civil rights march across the Edmund Pettus Bridge. The marchers were attacked and beaten by men on horseback under the leadership of Sheriff Jim Clark. As a result of the ensuing publicity, the U.S. Congress passed the 1965 Voting Rights Act. On June 5, 1966, Columbia University law student James Meredith commenced an iconic solitary “march against fear” from Memphis, Tennessee, to Jackson, Mississippi. Meredith was shot and hospitalized the next day, after he had crossed the Mississippi state line. Upon the violent incident, civil rights organizations vowed to take up and continue the march. On June 14, 1966, the Meredith marchers under the leadership of SCLC leaders Martin Luther King, Jr., and Hosea Williams marched into Grenada, Mississippi, a town with a population of about 8,000 people at the time, 100 miles north of Jackson. Thousands of African American people from Grenada and its surroundings assembled in the town square to hear King. He vowed to send organizers back to Grenada. Out of their activities in Grenada, King and the other SCLC leaders hoped to emulate their 1965 success in getting publicity and having civil rights legislation passed in Congress. Probably in large part due to the emergence of the “black power movement” led by Stokely Carmichael, who drew legions of reporters to hear his proclamations of “black power” along the progress of the march, whatever happened in Grenada, no new legislation was adopted in Congress. As a third year White & Case associate from New York, I arrived in Mississippi on the 4th of July weekend of 1966. One week later, on my second Sunday in Mississippi, I was assigned to work with the NAACP Legal Defense Fund. I was asked to go from Jackson to Grenada to interview black people who had been beaten in Grenada by local police officers and members of the Mississippi State Highway Patrol. Most of the victims were merely spectators watching SCLC organizers picket the local jail to protest the arrest of others of their members. Thereafter, I was full time in Grenada for over three weeks, including trying my first jury trial. While I was in Grenada, Hosea Williams led nightly marches to the Grenada County Sheriff’s Office. NAACP lawyers Marian Wright and Henry Aronson were able to obtain federal injunctions mandating that the various police organizations protect the marchers from the hundreds of white Ku Klux Klan members and others who were massed at the town square adjacent to the sheriff’s office determined to stop the marchers. I monitored compliance with the federal court’s orders. Forty eight years later, in early July 2014, I returned to Grenada in the company of Reverend Jerome Robinson to interview 1966 civil rights activists. 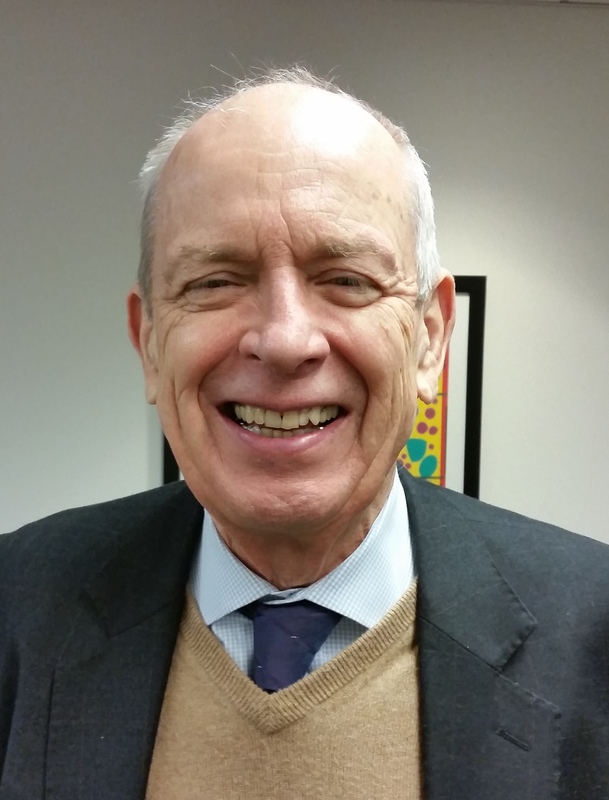 Jerome (married to Kaye Scholer partner Sheila Boston) and I interviewed close to 20 people over four days. The following stories contain highlights from some of the interviews. Dianna Freelon-Foster stated that she was 14 in the summer of 1966 and was employed hoeing cotton for the summer. She said, “I put down my hoe, and I never turned back after I heard Martin Luther King. I joined the marches at night to the sheriff’s office. I felt better about us as a collective after the night marches happened – we were in a secluded world. I knew who I was. I did not need to be with white folks to survive. My father Felix Freelon was involved. His barber shop was across the street from the church where the activities were centered. My participation shaped my life as to what I was to become. In September, I was a member of the ninth grade class who integrated the Grenada high school. I and the other black students were constantly failed by the white principal and teachers. “After the ninth grade was integrated, I did not want to be there, but I had committed to do it, so I wanted to ‘see it through.’ Some of the teachers were horrible including one who became superintendent of schools. Once, we walked out of school because of harsh treatment; it was almost unbearable. Parents led the walk out and we went to court the same day. We received so many demerits that we often failed. I went to summer school to pass my senior year – I was one of maybe two black students that graduated in their right year. “After graduation, I went to Chicago but it was so cold, I came back the next year. I went to work in industry and read on my breaks, and became a local union organizer. Then I became manager of political campaigns. In 2004, I was elected mayor of Grenada. It was a big public event when I became mayor and I served for one and one half years. Then, a new election was held after an annexation to the town. Many of the town’s white people had moved to the suburbs and the town was becoming much more ‘black.’ So the town decided to add suburbs to counteract the blacks’ control of the elections. The town had sought U.S. Justice Department approval from the Clinton Administration to do the annexation, which was denied. Under the Bush administration, the Justice Department approved and I was not elected thereafter. “My mother, Annie Stewart, my sister, and I fed the SCLC organizers every day: pork chops, chicken, and steak – more food than they had seen elsewhere. Annie opened her house for those who wished to sleep there every night. I just realized recently that the Lord provided the food because we did not have the resources to buy it. We bought the food in Greenwood, 30 miles away, because the black people in Grenada were boycotting the white merchants. Jerome and I interviewed Eva Grace Lemon at the Senior Center in Grenada where she was the receptionist/secretary. 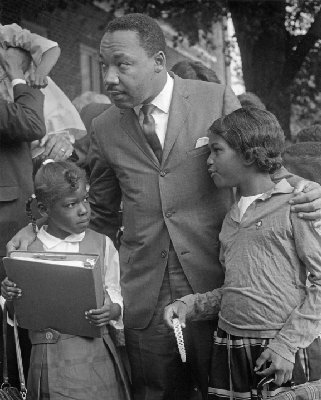 She was one of the black children who integrated the first grade of a Grenada elementary school in 1966 – shown in a historic photograph with Martin Luther King. She said she was “very scared.” She said, “Dr. King said, ‘come on little girl, we are going to go inside now.’ I and the other black children were repeatedly failed in our courses for the first few years and after the first year, all of the black children in the school had black teachers and the white children had white teachers.” Eva reported that the classmate depicted in the photograph is deceased. Since her photograph has been used repeatedly over the past 48 plus years without any compensation to her, she has some bitterness – especially when her photo was broadcast on television again this year in connection with the 50th anniversary of the Selma march. I spoke with the photographer Bob Fitch, who said he never made much money from his civil rights photography and that he himself is suffering with Parkinson’s disease. I could not help Eva very much. Other persons interviewed had just as dramatic stories and their lives were affected as substantially. One man from Dianna Freelon-Foster’s high school class was dismissed from the Grenada high school two months before graduation for starting an African American history club. He joined the Navy, became a business success after his Navy service and returned to Grenada where he started a “100 Black Men” club to aid young boys. He, too, ran for mayor, but was narrowly defeated. Two high school classmates have apologized for throwing rocks at him when he was walking to integrate the school and one has become his friend. His class does not have reunions although the classes commencing about five years later all have integrated reunions. Another man was the sixth black person hired into the Grenada police force and the first who was permitted to arrest white people. Upon being sworn in as a policeman, he insisted on receiving the same training as had the white policemen; thus trained, he was permitted to arrest white people as well as black. His fellow black officers could arrest only black people although they had not been properly trained. He later was elected as a county commissioner and was reelected over a period of 12 years. One of the retired black school teachers said she was never permitted to teach white children and was eventually forced out of her position. She had no way of knowing whether she was paid less than white teachers but she presumed she was. In determining to return to Grenada to interview activists from 1966, the biggest question I had was whether all the organizers, lawyers, marchers, court orders, etc., had made a difference in the lives of the citizens of Grenada, especially in the lives of those who participated. Would they say, on the other hand, that they had been deserted when we collectively left little more than a year later? The answer was almost universal that the town was better off, that things had changed for the better, and just about all the people interviewed felt that their lives had been changed for the better in a very substantial way. This was true of Dianna Freelon-Foster, Toll Stewart, and Gloria Williams.